Year 2005, we transformed the Fibreglass Exclusive Agency business to become a Joint Venture co., for which:- Jushi Group (China) + Sinosia = Jushi Group (SA) Sinosia Composite Materials Company (Pty) Ltd. At the same time, We established: Jushi Group (HK) Sinosia Composite Materials Company Ltd. In 2007, We further transform the JV company, Jushi Group (SA) Sinosia, from Marketing & trading, to become Manufacturing plant, be the 1st Jushi overseas CSM Manufacturing plant, established in Cape Town, South Africa In 2009, Jushi Group (Brasil) Sinosia Compositos Materiais Ltda. was established. . 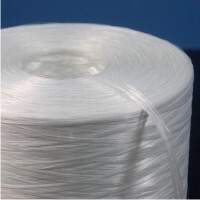 In 2010, to cope with the further competitiveness and speedy development in Latin America & Africa countries, we create “Fibreglass Packaged products” by having Exclusive Distributorship arrangement for South Africa, as a testing outlet; then:- We create downstream trading outlets, called: “(1) stop shop” to support the marketing & selling Fiberglass Packaged Products at various strategic locations ! In 2011, We transformed one of the Packaged Products, Fabric of Zhenshi Group, to become a JV co. & established: Zhenshi Group (HK) Sinosia Technology Co., Ltd. Zhenshi Group (SA) Sinosia Technology Co., (Pty) Ltd. In 2012, We keep on searching /targeting “Packaged products”, thru finding various leading global brands with New potential products, Organizations to strengthen Our Marketing & Selling concepts ! Supported by Jushi & Jushi Sinosia teamwork with Management & technical + Commercial services. We have endeavored to steadily expand our scope of business. At the same time, we manage effectively our long-term relationships with global customers. Our market shares are growing, along with Our growing Company images and products with Customers confidences. We are determined to grow faster, together with Our both Customers and Manufacturers, at the same time, We are ready and open to challenge for high growth prospects, along with Our teamwork resources. JUSHI GROUP is a leader in the production of glass fibers in the world, occupying the leading position in all aspects of the business, production volumes, technology, market share and administrative and financial efficiency. Currently, the Jushi Group has assets worth 1.4 Billion Dollars, more than 10,000 employees and annual production of 1 Million Tons of Glass Fibers. Glass fiber production is divided into 3 industrial parks, Tongxiang - Zhejiang Province; Jiujiang - Jiangxi Province and Chengdu - Sichuan Province; where the world's four largest glass fiber production lines are installed with annual capacity of 100,000 tons, 120,000 tons, 140,000 tons and 160,000 tons each kiln. .
Zhenshi Group Hengshi Fiberglass Fabrics Co., Ltdais specialized in producing and marketing various fiberglass fabrics. Its products are mainly used in the aerospace, offshore wind, automotive and pipe industries. Hengshi embraces the core values: "Rigor, Honesty, Optimization, Innovation and Development" and aims to become the largest producer of glass fiber fabrics in China. .